We can work in partnership with your company to meet your Corporate Social Responsibility needs. 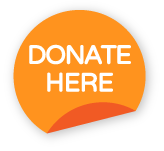 Your staff can support The Movement Centre in a number of exciting ways. 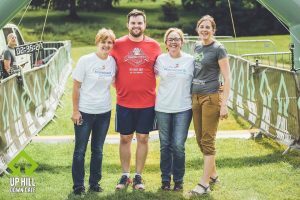 From Charity of the Year support, to event sponsorship or staff fundraising events, there are so many different ways you can partner with us. We are delighted to be Charity partner of Granite Search. To date Granite have raised over £50,000 for The Movement Centre! We continue to work together to raise vital funds to support the children we work with. We support The Movement Centre as our partnered charity because of all the phenomenal work they do helping children with cerebral palsy and related movement issues. They are a small charity that make a huge difference through their specialist Targeted Training, aiding children to sit and balance unassisted, sometimes even stand or walk! The funds we raise for The Movement Centre go directly to courses of Targeted Training and seeing updates on the kid’s progressing makes our efforts all the more rewarding. Keep up the great work TMC! Beaumont Financial Planning became a partner of The Movement Centre in Autumn 2015. With lots of fundraising plans in the pipeline we are excited to be working together to help support children with problems of movement control. We are delighted to be a corporate partner of The Movement Centre. By working together we can help transform the lives of children with movement control issues. We are excited to be able to develop a partnership with their team and create a flexible way of working together. By raising funds we can ensure that more and more children can continue to receive Targeted Training, making a lifelong difference to them and their families. Lanyon Bowdler have been fantastic supporters of The Movement Centre since 2015. The team at Lanyon Bowdler have held fundraising activities in aid of The Movement Centre, as well as supporting us at events and providing us with sponsorship. Lanyon Bowdler are proud supporters of The Movement Centre and their work with children who have a disability that affects their movement control. We became a corporate partner in 2015 and were delighted to invite The Movement Centre to speak at our ‘Surviving Brain Injury Conference’ at Theatre Severn in Shrewsbury in 2016. Lanyon Bowdler understand the challenges families face and the reason that Targeted Training therapy is so important. By working together we can continue to make a difference to the lives of the families who attend The Movement Centre. 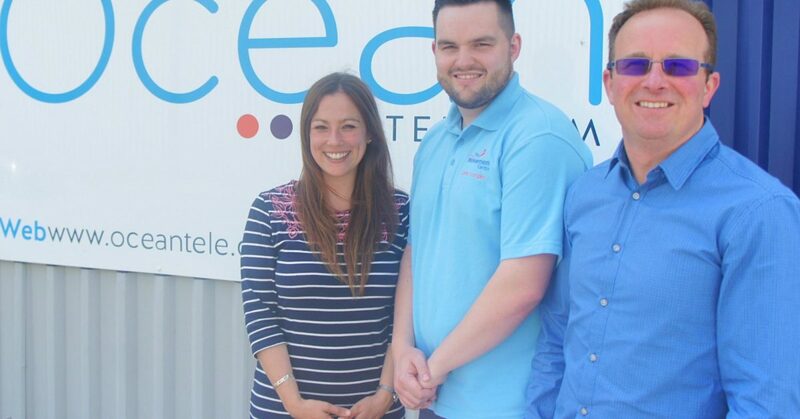 We are very excited to have been chosen by Ocean Telecom as their charity partner. They became a corporate partner earlier in 2018 and in June 2018 they took on the Three Peaks Challenge and raised over £3500. We are looking forward to working with moving forward. Oswestry Rugby Club became a partner of The Movement Centre in November 2016. Both the rugby club and everyone at The Movement Centre are very excited to be working together. Oswestry Rugby Club has a strong history of charitable support and we are looking forward to The Movement Centre being our new Charity Partner. Having frequented The Robert Jones and Agnes Hunt Orthopaedic Hospital, where The Movement Centre is based, over the years with many rugby injuries, the club was already aware of the great work The Movement Centre does, aiming to get children literally back on their feet. It seemed to be a great link up for our next Charity Sponsor. We are really looking forward to helping raise the profile further via our social media outlets and raising funds for this much needed organisation, which is on our doorstep. Up Hill Down Dale was born out of a love of trail running and multi-sport events. The company was started in 2015 by husband and wife team, Dave and Belinda Bateson. We are excited to partner with Up Hill Down Dale, who will be donating all of their profits to The Movement Centre. You can fund out more information on our Challenge Event Page. We will be donating ALL of our profits to this very worthy cause. All of our races are inclusive and welcome runners from all over the UK, no matter their running pace. For this reason we see working with a charity that helps children with their mobility as an ideal partnership.